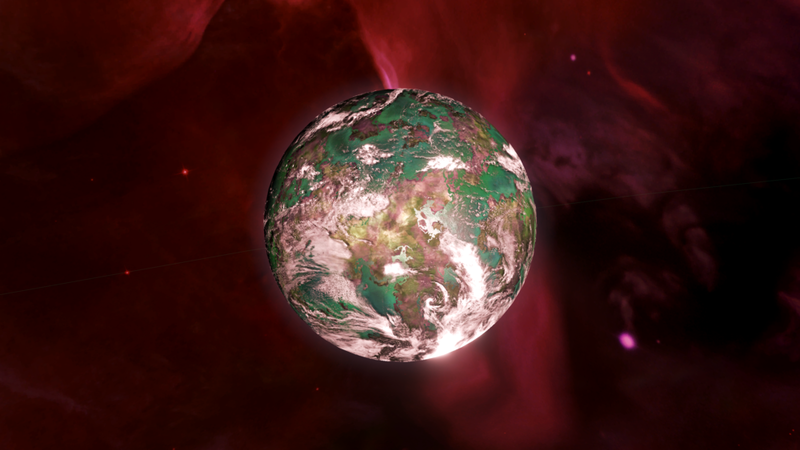 Image: The beautiful gaia world of Prophet's Retreat in the Acrux System has long been regarded as a Holy World by the Vool Crusaders, even though the planet does not lie within their borders. Leaders of the Glaxanon Republic have made the daring move of colonizing Prophet’s Retreat, one of the most beloved and precious holy worlds of the Vool Crusaders, a notoriously fervid spiritualist stagnant ascendancy. Politicians from neighbouring spacenations were reportedly shifting uncomfortably in their seats as they watched live neural streams of Glaxanon colonists assembling remnants of their battered ship into a temporary shelter on the gaia world. We attempted to contact the Vool’s religious leader for comment, but his advisor went on a tangential tirade about immature materialist fools and threatened to sacrifice our reporter to the Gargantua Black Hole. After composing himself, he was able to give the short statement outlined below. Image: A statement from the Vool Crusaders on the news of the colonization. This situation has also torn a rift between the Glaxanon Republic and their federation ally, the Iferyx Amalgamated Planets. The two allies have already been at odds with each other in the past over their divergent attitudes toward spirituality and materialism, but were united in their love and passion for crushing dissent and free speech. Image: Glaxanon colonists begin planetary colonization of Prophet's Retreat, seemingly ignoring warnings about its religious heritage. “It would lead to our humiliation if we left the planet now. We’re staying there no matter what. And then, we’re going to begin the process of putting our populations’ minds into synthetic bodies. We’ll be unstoppable. > More accurate reporting from Spagruum Yu'll could not be possible.